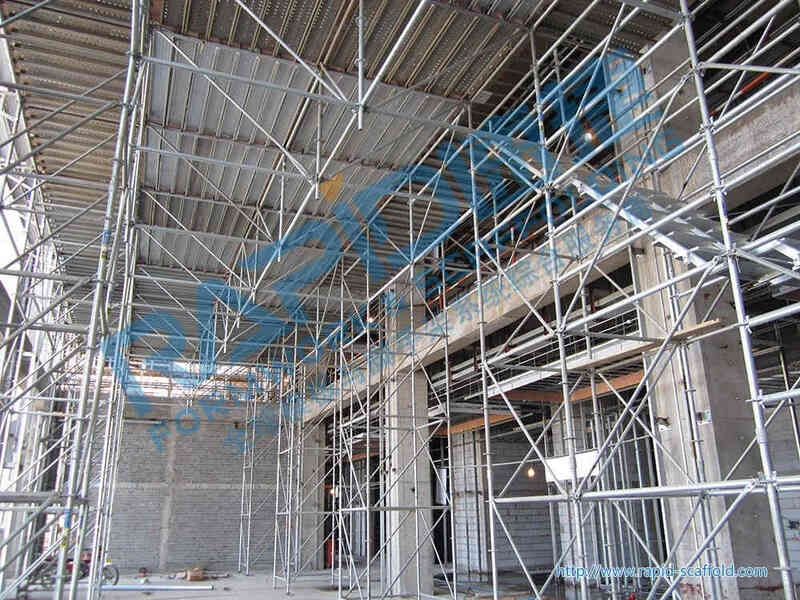 With area of approximately 855,946.8 square meters. 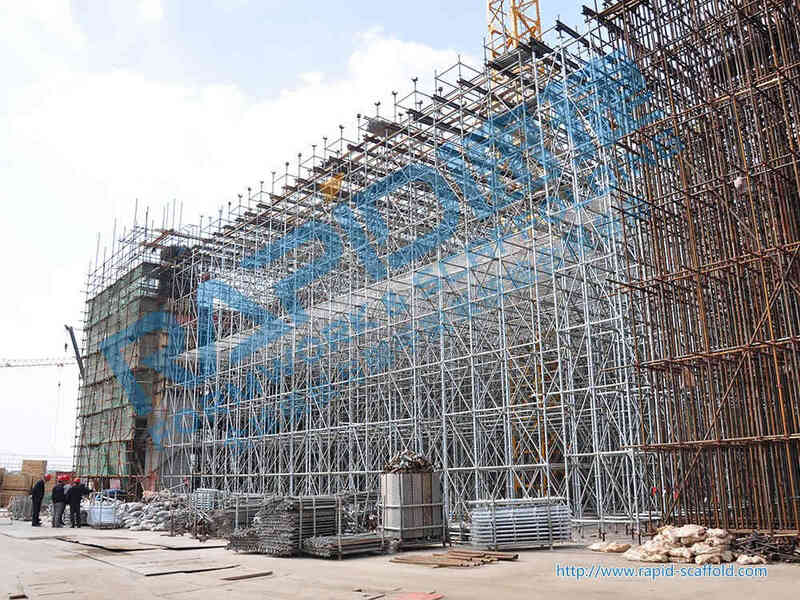 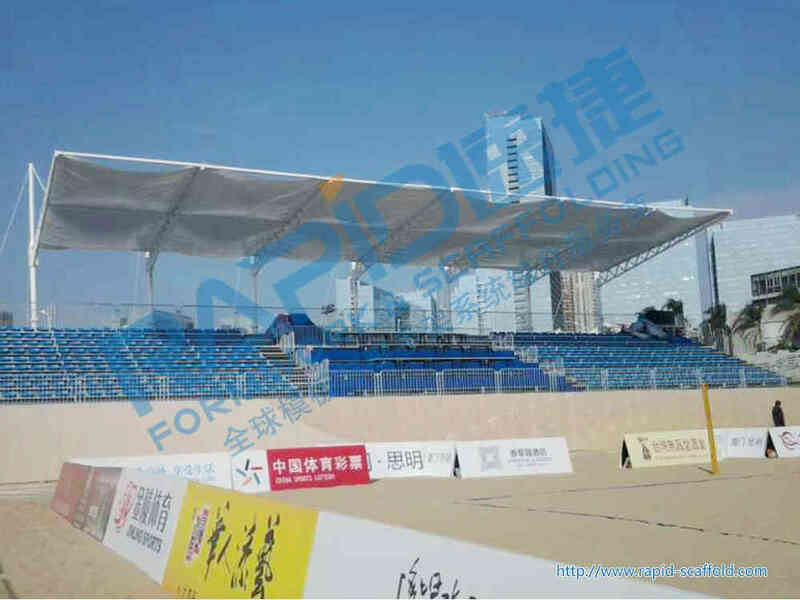 Rapid Scaffolding undertook the China Expo exhibition formwork project (North Block) EPC Engineering (Second Section). 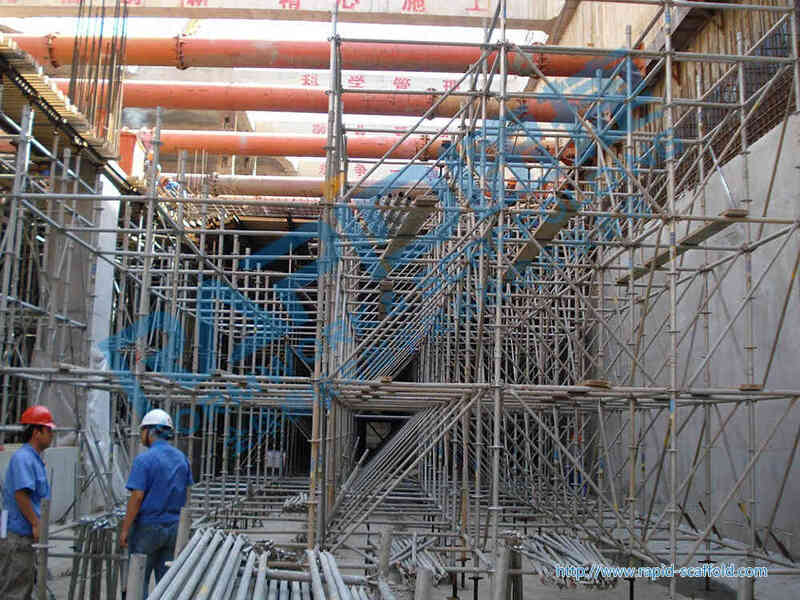 C1 16m high hall area formwork sub-projects. 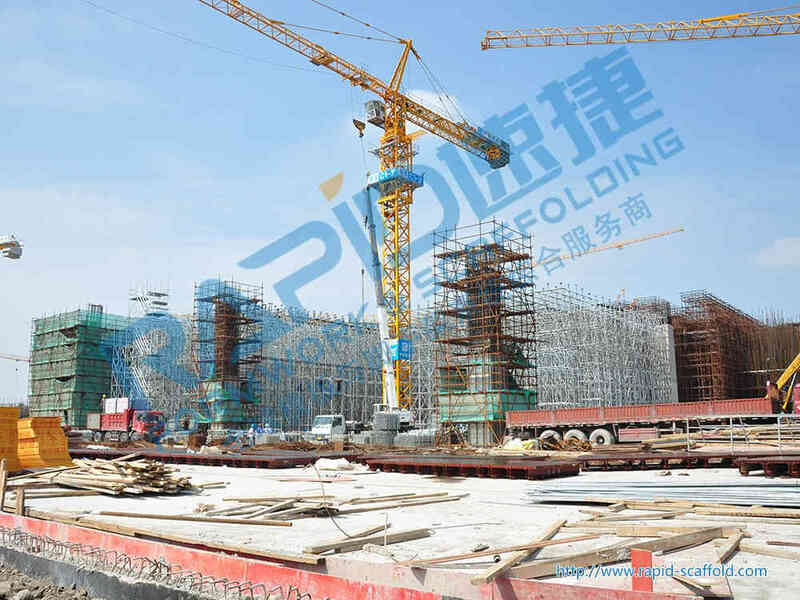 C1 zone on the highest floor of 5 floors with a total building height of 32m, Tight schedule, the process is complicated , big load. 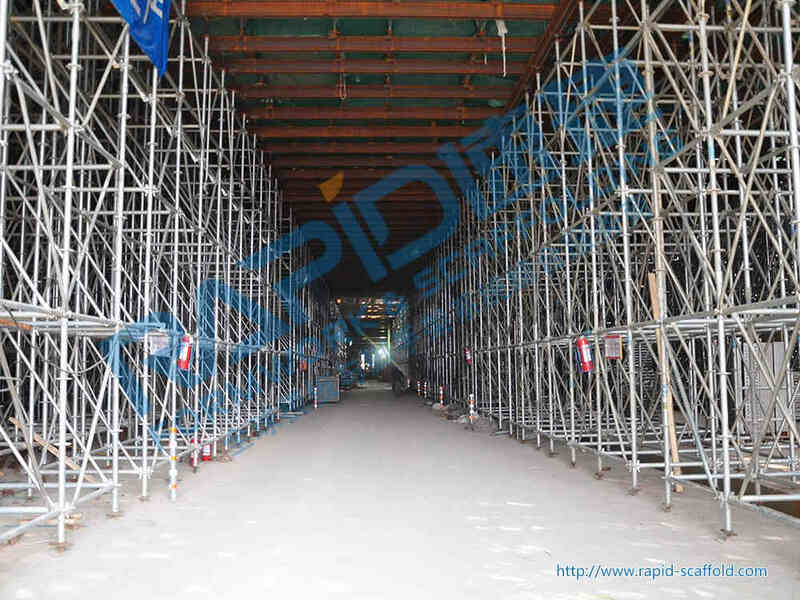 Using rapid socket type disc Scaffold (referred to as "rapid scaffolding") template cage, the successful resolution of frame beam size 1800 × 2650mm, and a large cross large beam line load reaches 100kN / m support requirements; Meanwhile, in the erection of scaffolding then pumping a few specimens of the shelf. 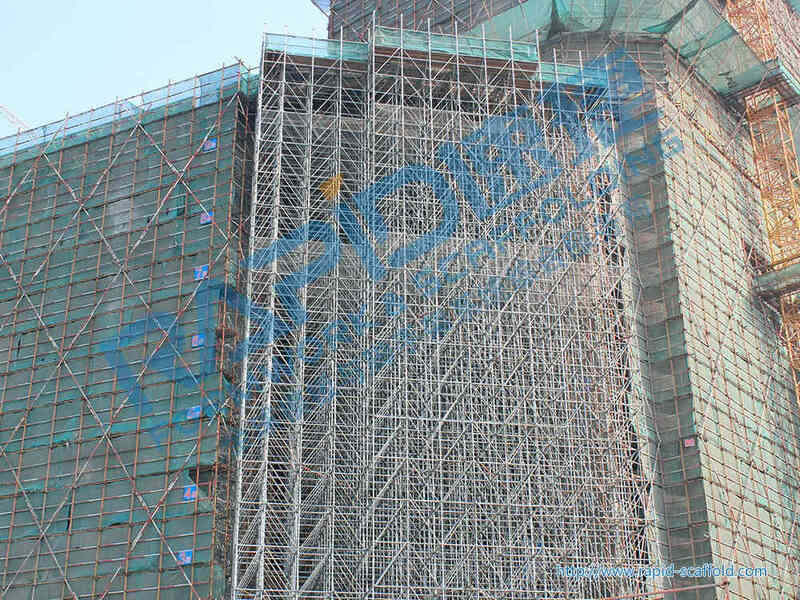 Lift the upper portion of the connection through the top beam scaffolding, construction passage formed to ease the shortage of public resources to the scene of road congestion.